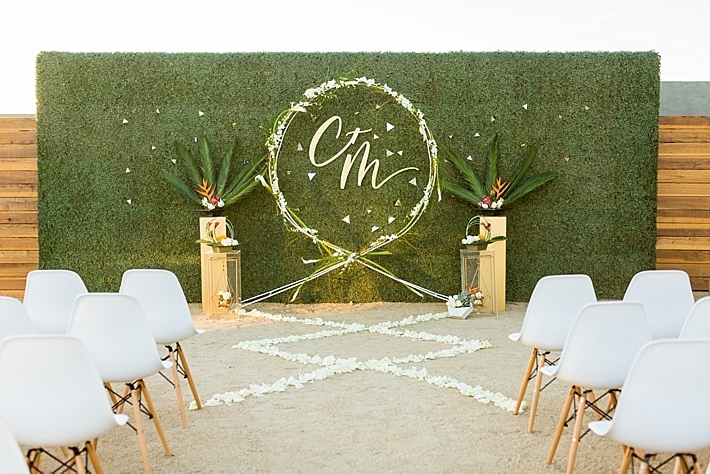 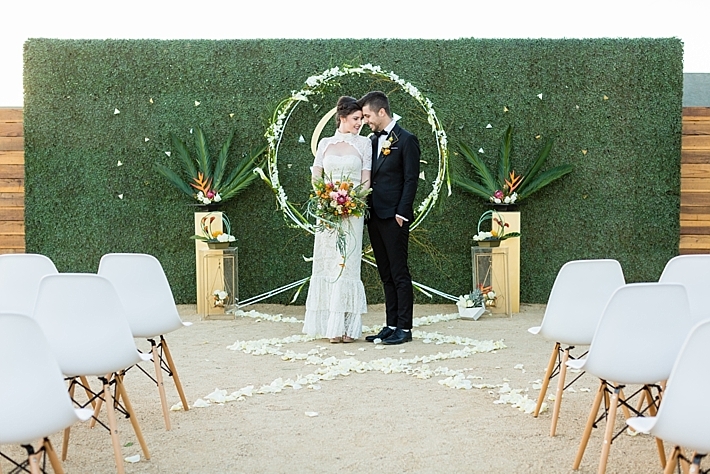 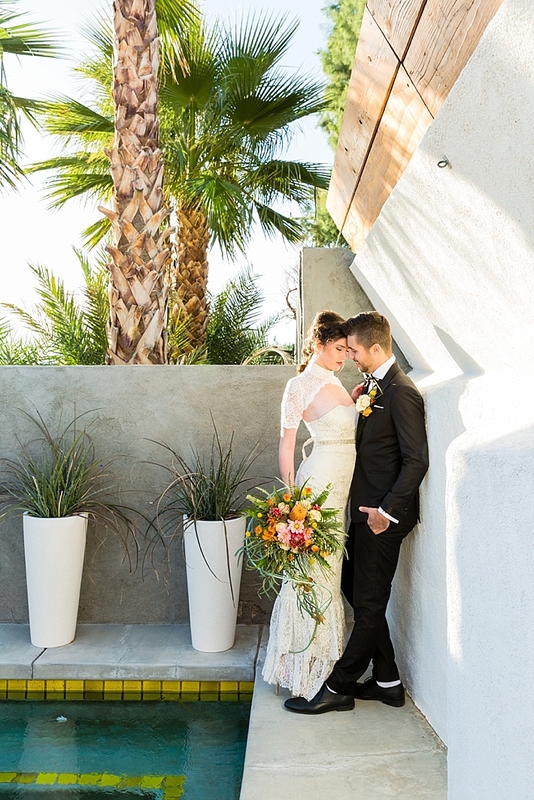 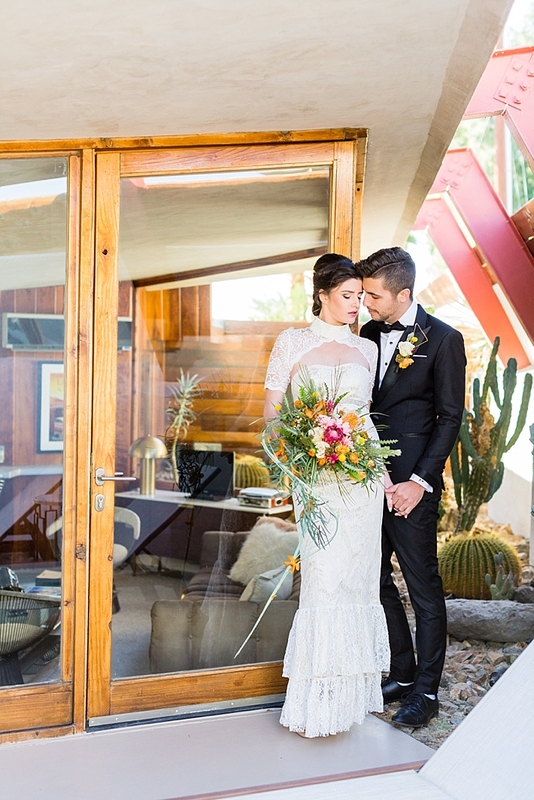 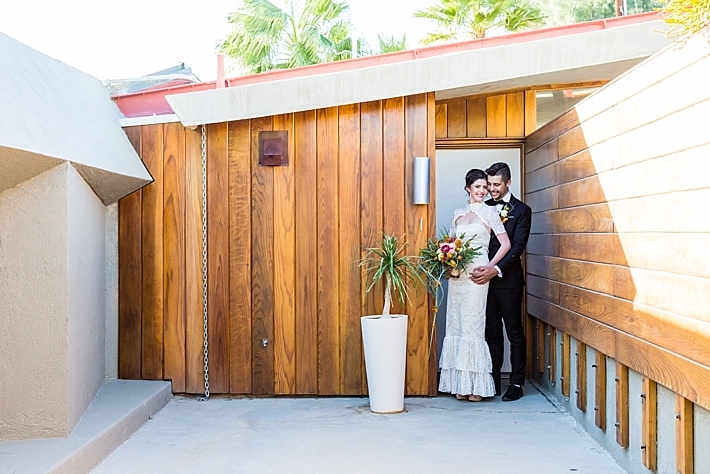 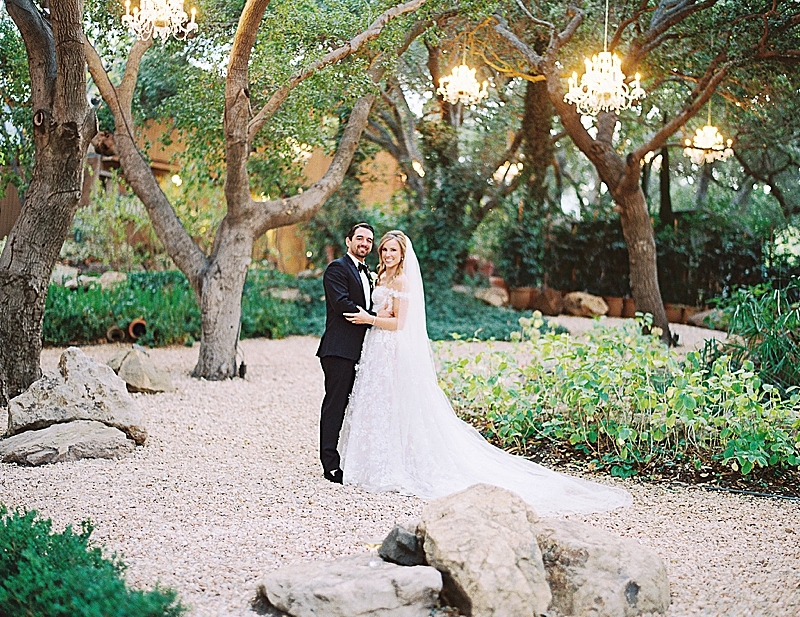 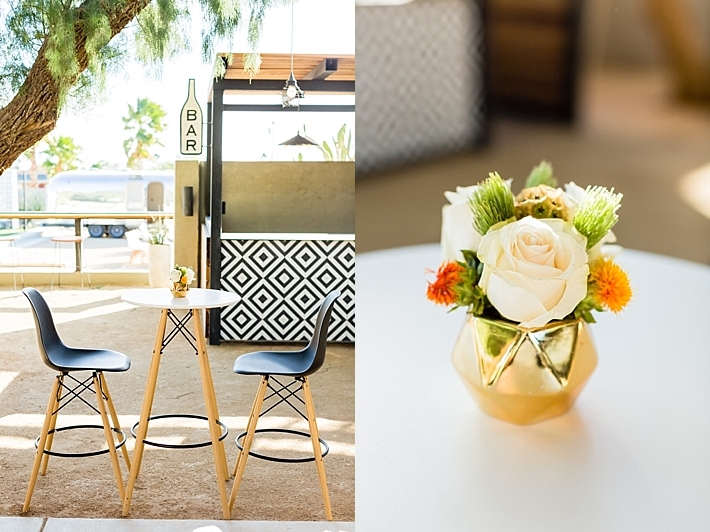 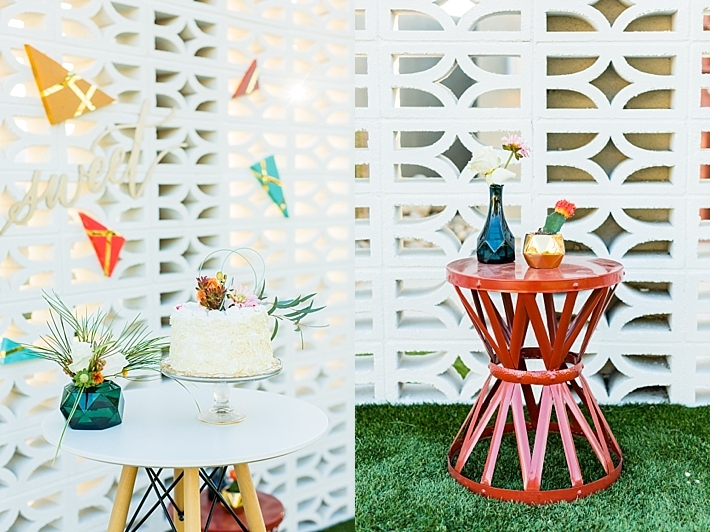 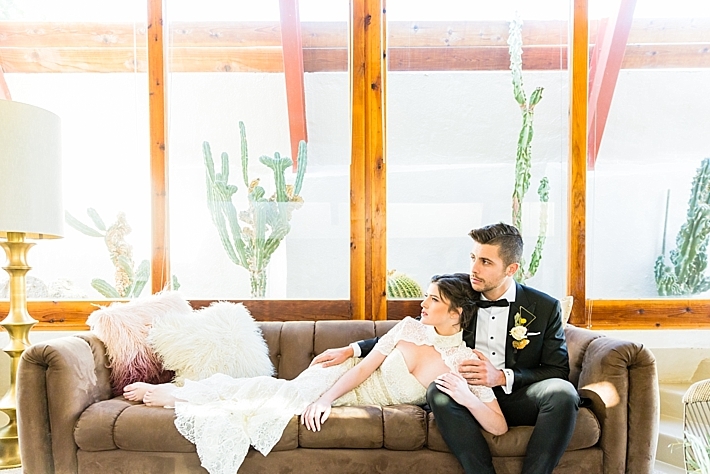 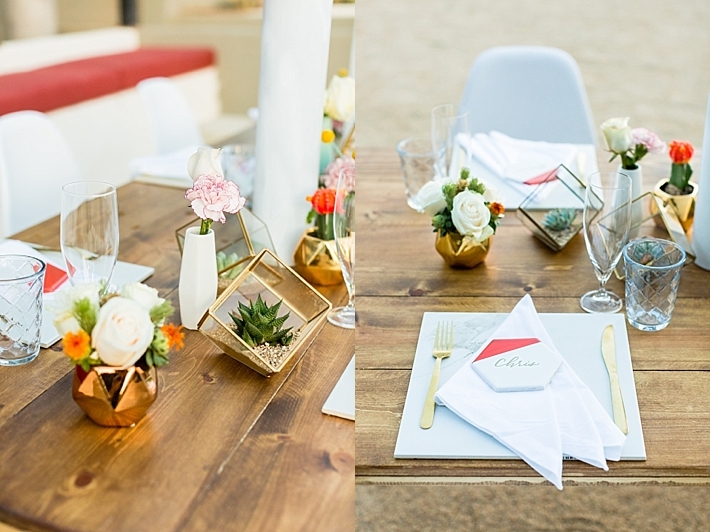 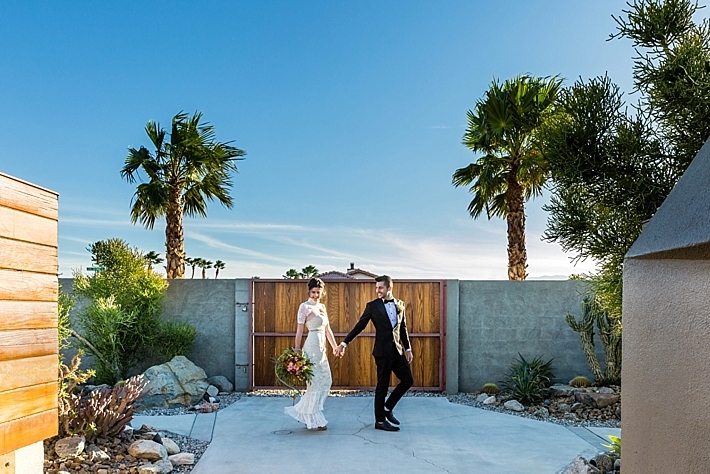 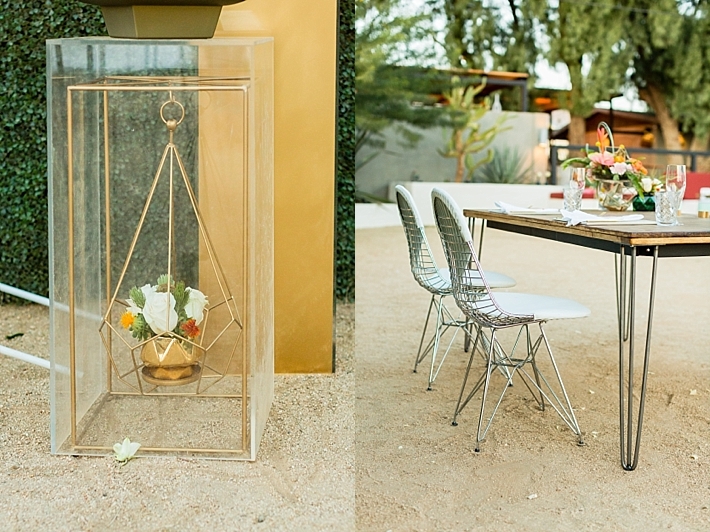 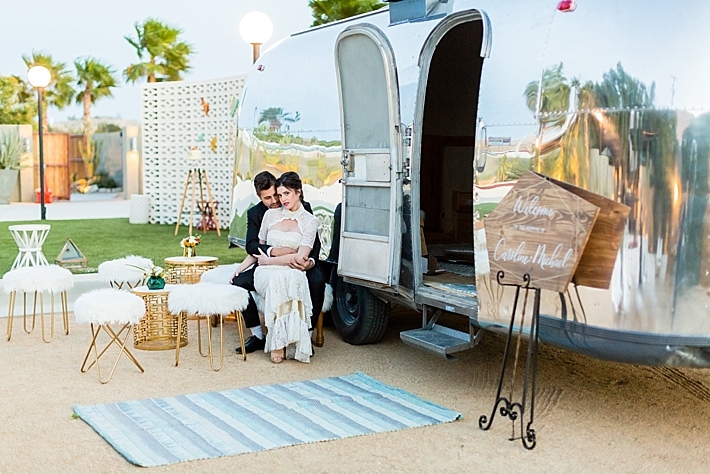 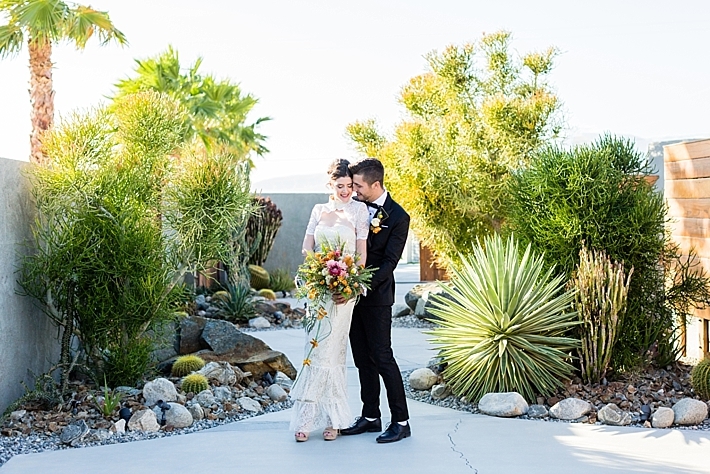 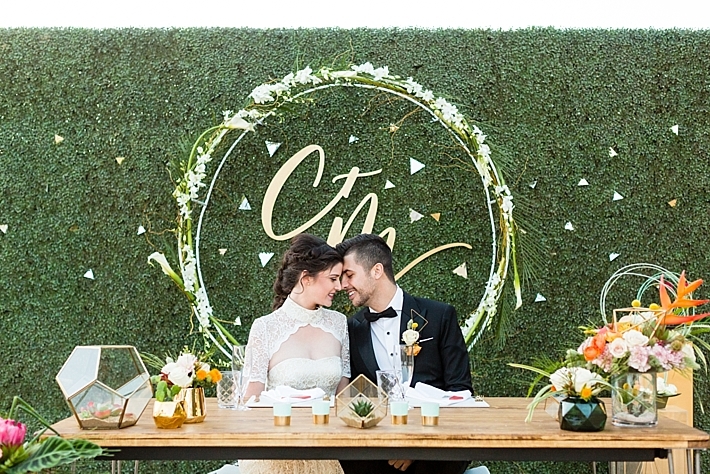 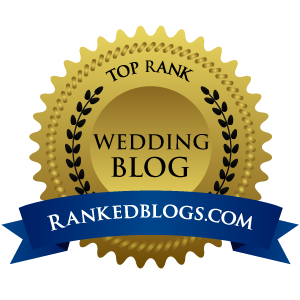 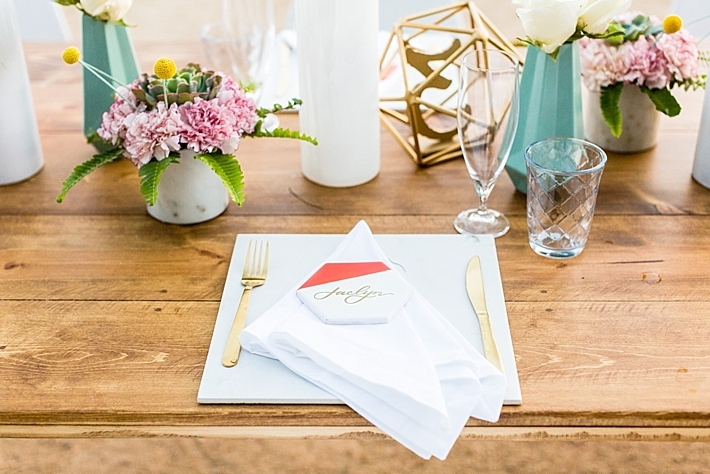 A fun mid-century wedding in California’s Desert at The Lautner Hotel. 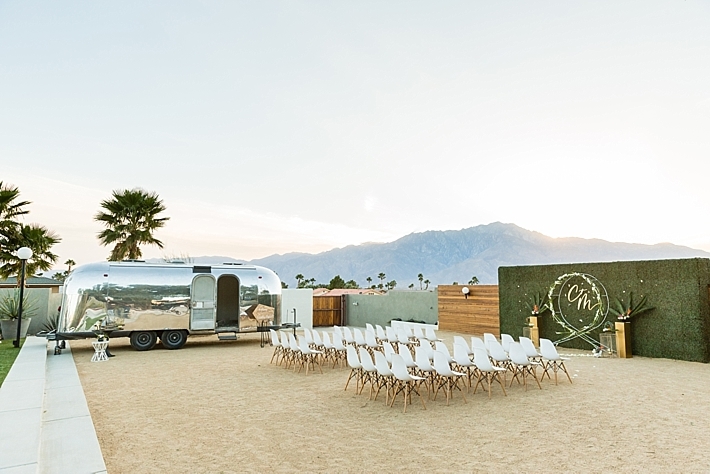 Flashback to family road trips: Airstream adventures, stories under the stars and precious family time. 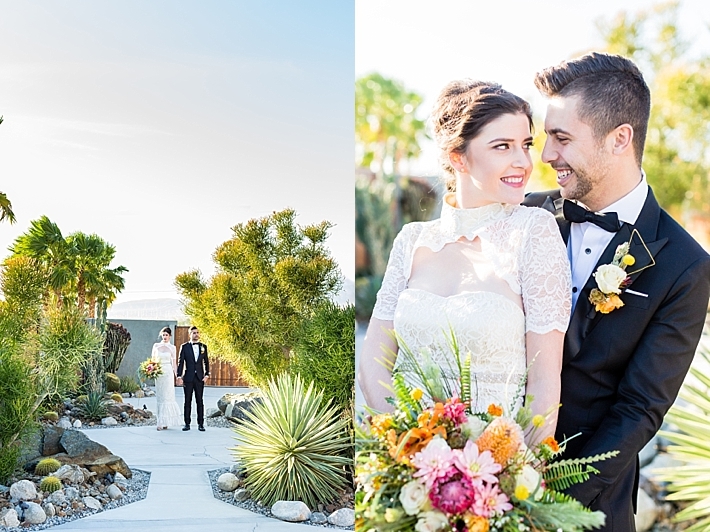 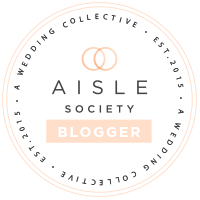 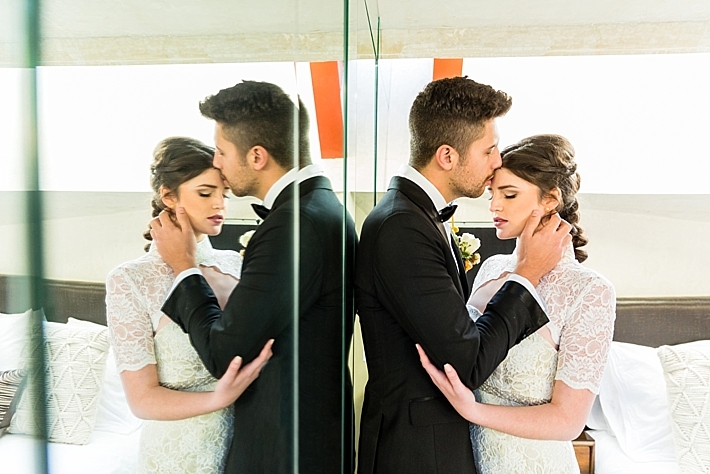 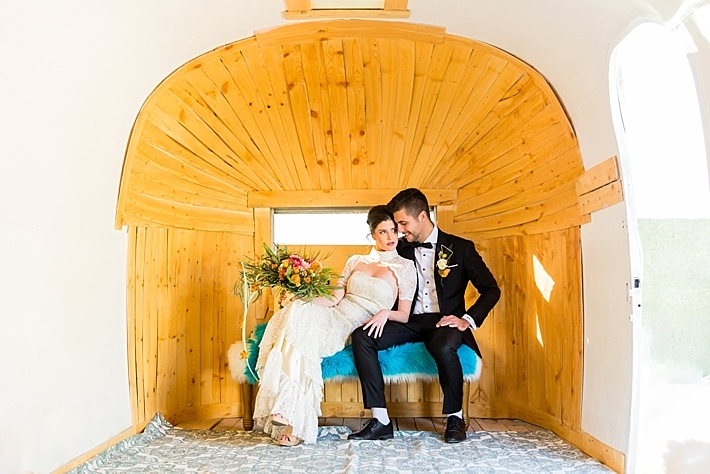 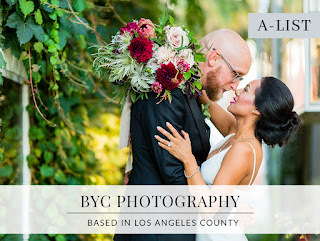 Relive your memories with style at this marvelous venue built and designed in 1947, with mid-century modern architectural features which are characterized by clean lines, organic, and streamlined forms. 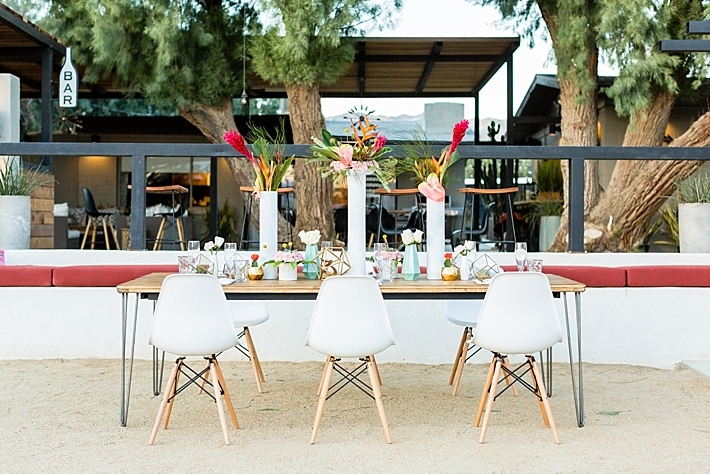 Inspiration surged from the artsy and creative vibe of downtown Palm Springs, ocal designer stores and restaurants are filled with vivid colors, mid-century modernistic pieces and geometric patterns. 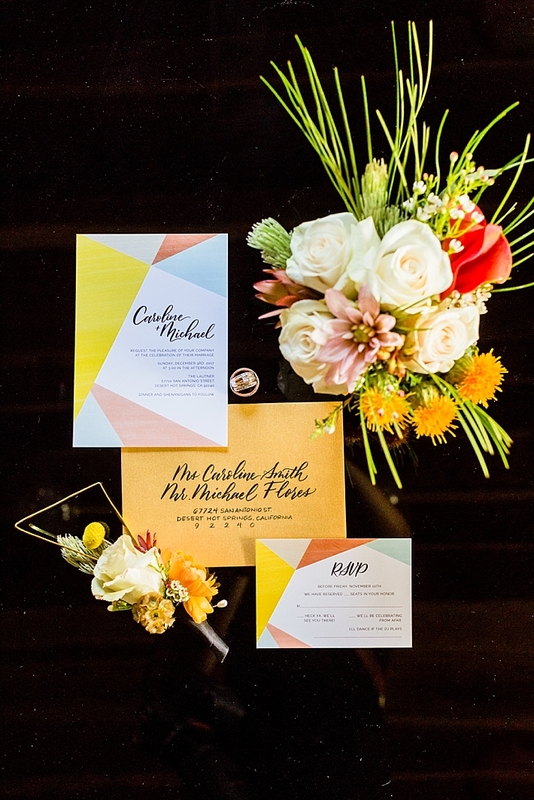 Mustard, terra cotta, dusty mint and pumpkin orange with a touch of metallics form our color palette taking us back to mid-50s – 60s. 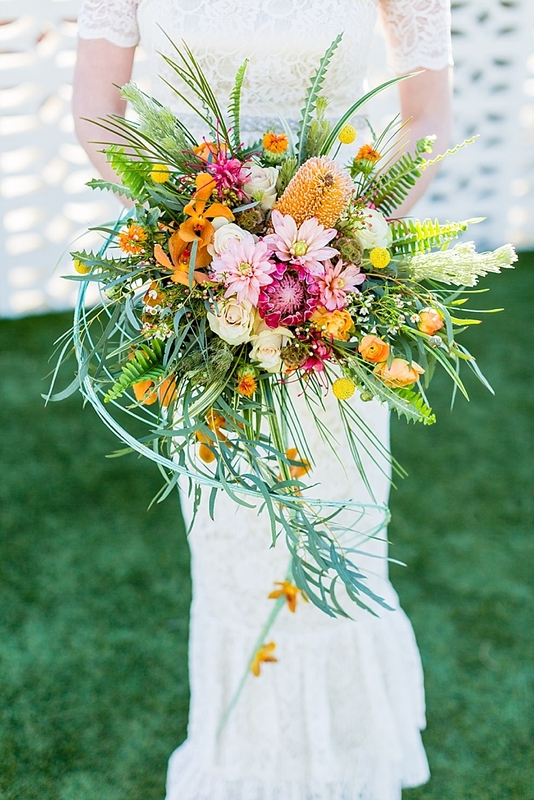 The bridal bouquet brings an European technique incorporating a wild round and cascading drop with mid-century clean line spiral structure. 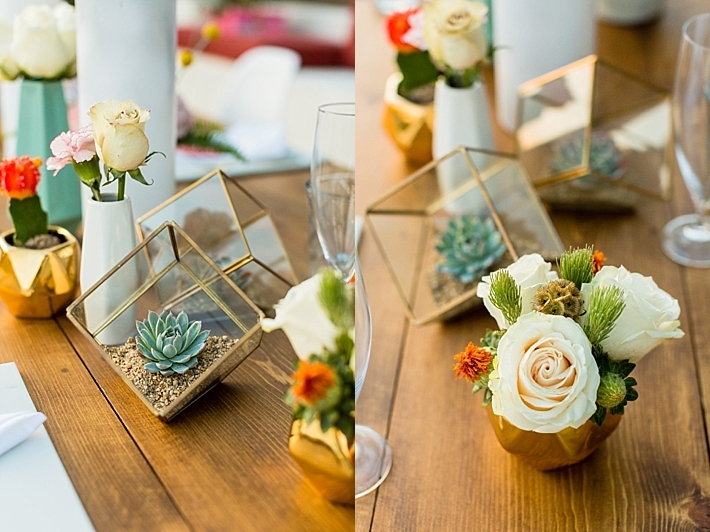 California and Australian grown flowers enhance the playful geometric table centerpieces. 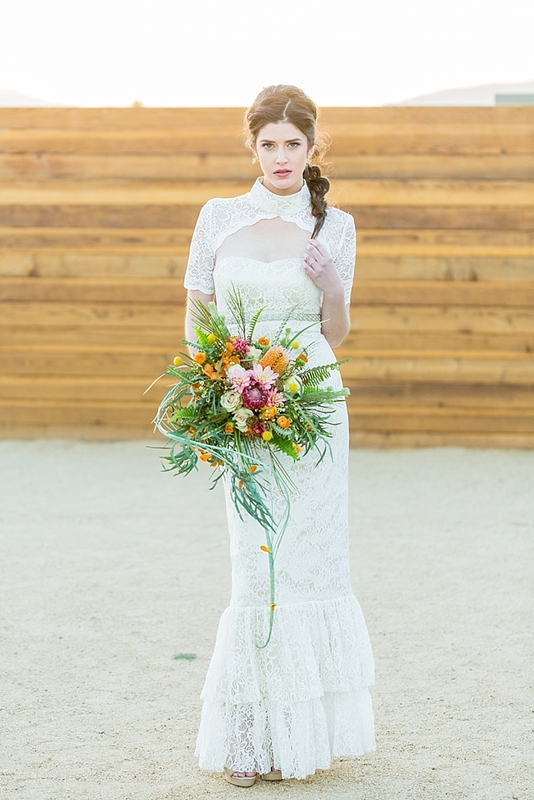 The gorgeous convertible lace gown, Briella, featuring a high-neck topper with scallop lace trim, and tiered ruffle details. 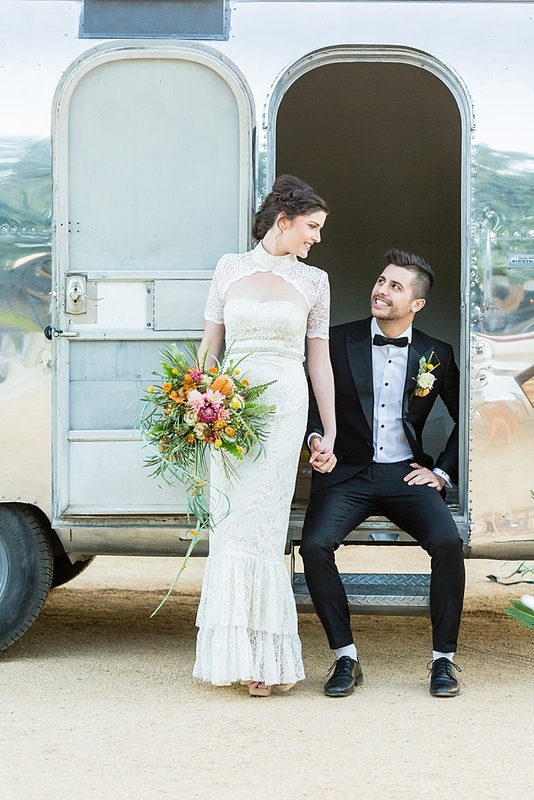 This floor length gown, exclusively by Lumière Couture Bridal, offers an unconventional vintage look. 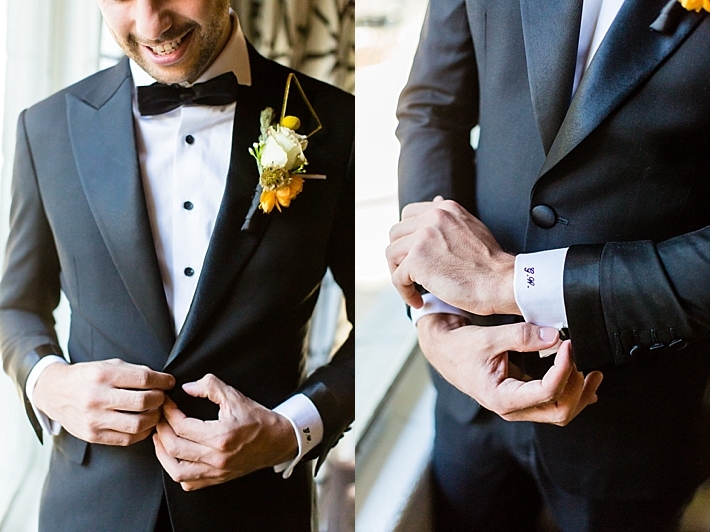 With the detachable topper, it can be worn in two distinct silhouettes. 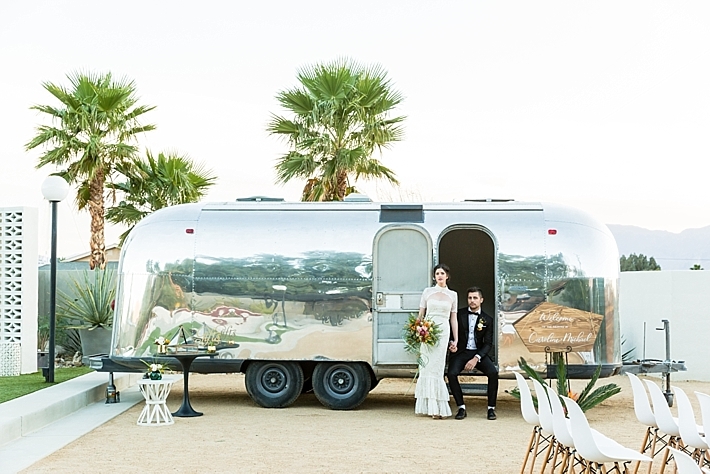 Perfect for brides looking for something versatile, and be able to switch up the looks from ceremony to reception in split seconds. 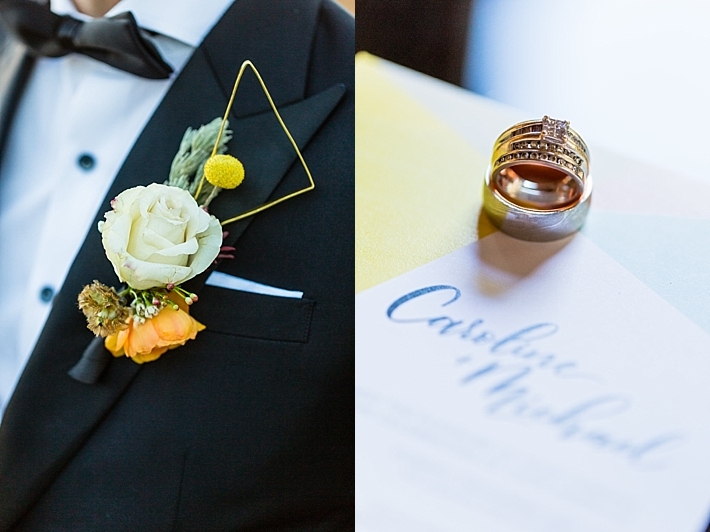 We collaborated with Malcolm Alexander for the groom's attire due to it's unique suit lapel to give the suit a bit more geometric shape.